Just like the perfect Christmas present, the Delavan Lake property at 2116 Lake Trail Drive, is a holiday gift waiting to be unwrapped. Being sold as a turn-key package, this waterfront home makes lake living easy from the day of closing. 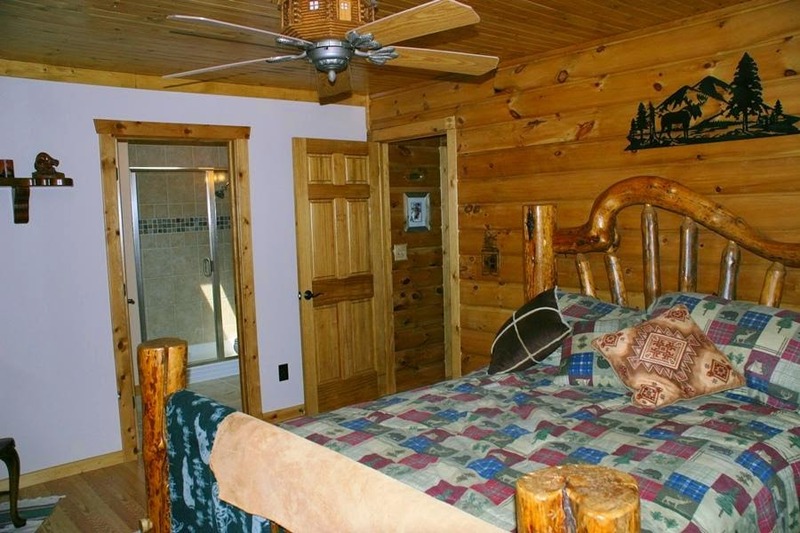 Included on the main level is the north-woods style furniture in both the master suite and great room. 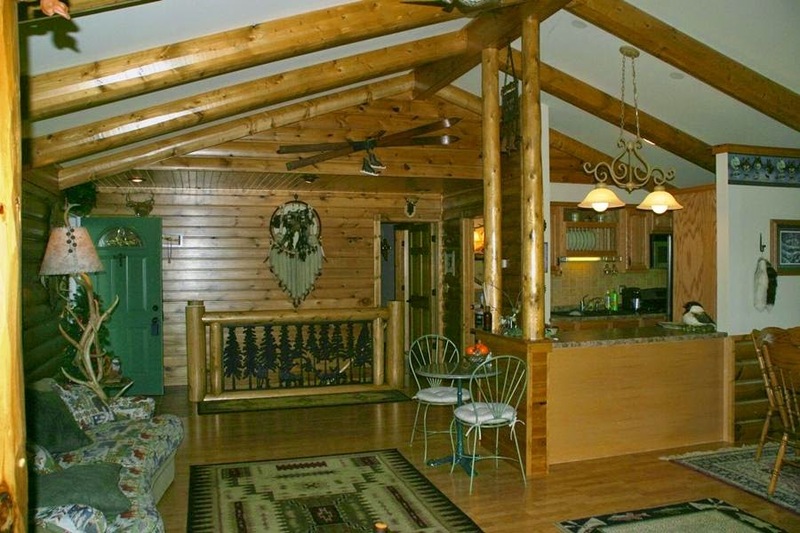 Custom pieces include a rustic-log queen-sized bed, canoe modified shelf, antler based lamps and hand-woven area rugs. The kitchen is completely stocked with place settings, silverware, cooking utensils, glasses, cups and saucers. As a new owner, you will be ready to entertain from the moment you turn the key in the front door. In the lower level there are two separate guest bedrooms, each with a double-single bunk system to sleep three persons comfortably. 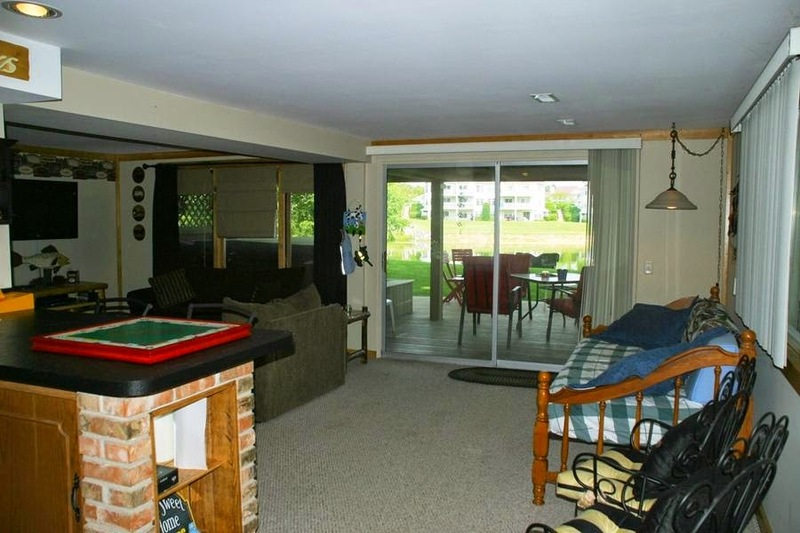 There is also a recreation room with walk-out to the water, patio, and hot tub area. Walk right out to the water from the lower level recreation room. Outside are three separate entertaining areas. A sand seating area, with lounge chairs for relaxing and soaking up the sun is one inviting option. There is a pier patio area for watching water activities and friends fishing off the dock. And there is a fire pit circle, standing near the gas grill and deck for evening marsh mellow roasts and romantic camp fires. 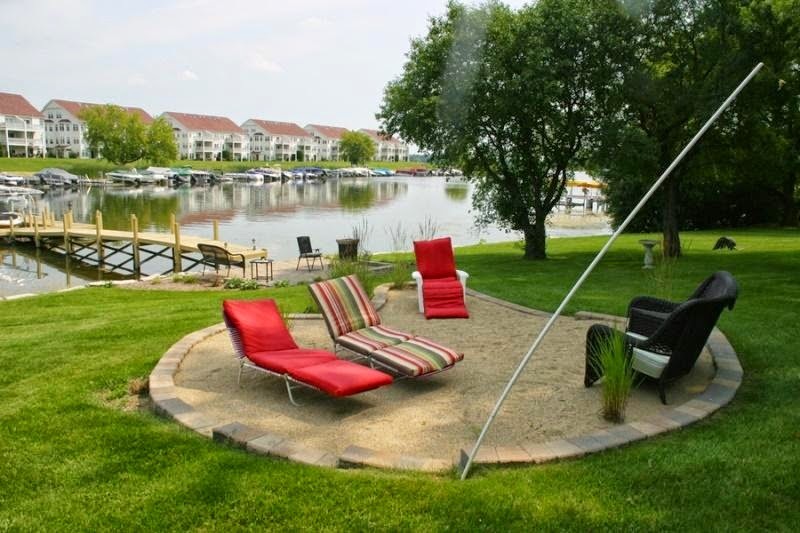 Relax and catch the sun in the sand seating area just steps from the dock. 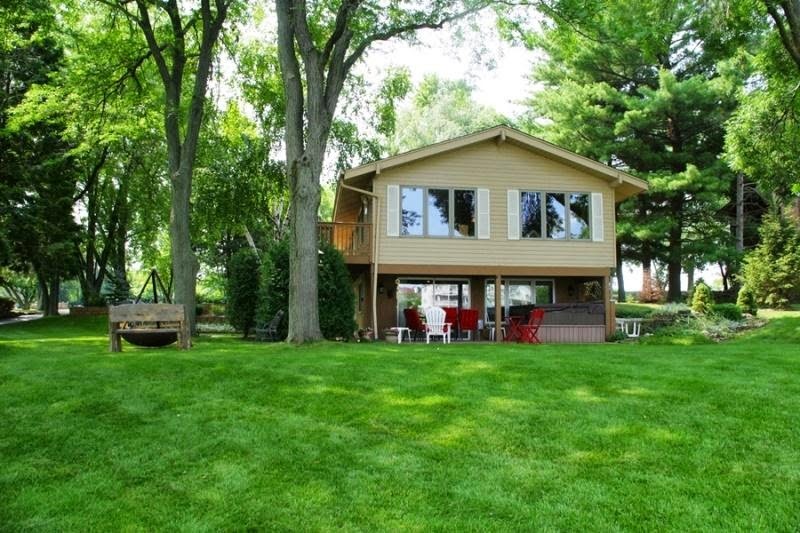 Listed for only $499,000, this is the most complete package available on Delavan Lake for under $500,000. Located at the end of a private cul-de-sac, the home offers both lake access and a family retreat all wrapped up in the same package. Lakeside lawn, fire pit, hot tub and patio. All included in the purchase price.